The student group Swatties 4 a DREAM recently launched a new campaign to make the Swarthmore admissions process more transparent for undocumented students. Swatties 4 a DREAM was founded in the spring of 2010 with the intent of convincing Swarthmore’s administration to publicly endorse the DREAM Act, explains member Jovanna Hernandez ‘13. The DREAM Act, which stands for Development, Relief, and Education for Alien Minors, was first introduced in 2001 to provide undocumented children who graduate from United States high schools with the opportunity to get green cards. In December of 2010, the bill passed the House but later failed to overcome a Senate filibuster. Since 2010 the group has revised and expanded its mission and is actively working to become a larger presence on campus. “Locally we are working to raise awareness and tolerance of immigrants and immigration in general on campus. We select different campaigns to work for various aspects of immigration reform,” said Uriel Medina ’16, a member of Swatties 4 a DREAM. “College is a lofty idea for undocumented students,” Medina said, and that’s what the group is looking to change. The group is currently focusing on a new “fair admissions campaign,” the goal of which is to communicate to undocumented students that they are not only welcome but encouraged to apply to Swarthmore. “Right now, we’re working on the process for undocumented students to be able to get here on a more fair platform,” Medina said. Swarthmore currently welcomes applications from undocumented students, but they must identify as international on their application, Bock said. “We communicate this information in several ways including through high school visits, counselor tours, college night information sessions, and college fairs. The policy is also included in many of the publications and websites utilized by our community-based organization partners, including QuestBridge,” Bock said. To do this, the group is working with the administration to better understand the admissions process themselves and to make it more accessible for undocumented students. “The fact that [Swarthmore] accepts undocumented students does not mean that undocumented students feel that this is an open and welcome environment to apply. Part of our campaign is for the school to acknowledge the fact that they do accept undocumented students in the form of an FAQ on the website or maybe to have someone who can specifically answer questions for undocumented students,” Medina said. More generally, the group wants to raise awareness of their cause on campus. “Part of our mission this semester would be to get more known on campus and to work from there and to show the school that there is student support for this cause on campus and that this is an environment that would welcome our mission and our cause,” Medina said. Dean Alina Wong, director of the Intercultural Center, is among the many administrators working with Swatties 4 a DREAM. “We recognize the structural difficulties [undocumented students] face,” Wong said, “We have to direct them through different routes.” Wong seeks to help the group by tapping into her professional network and contacting college access programs to help let undocumented students know that Swarthmore wants them to disclose their citizenship status. 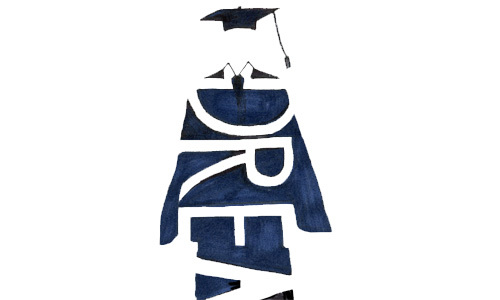 In the future, Swatties 4 a DREAM would like to help undocumented students transition to life on campus. Specifically, they have considered working with Career Services or creating a physical safe space on campus. Leak Ly ‘15, another member of Swatties 4 a DREAM, noted that there is a fine line when it comes to pursuing this kind of work. “Being a safe space means feeling comfortable. And if that comfort comes from not disclosing your status, it can be a very problematic thing both legally and socially to come out as undocumented. If being safe means not coming out then that’s the space that we want,” Ly said. Ly also stressed that creating a safe campus community for undocumented students must include participation from the administration and the rest of the student body as a whole. The group is looking to refocus their energy and build on previous successes. “[In 2010] We collected petitions and we had a whole binder for President Chopp […] . She sent out an email in May of 2010 saying that Swarthmore College as an institution was proud to endorse and support the DREAM Act,” Hernandez said. When the bill failed to pass in the Senate, it was a huge defeat for the group, Hernandez said. “There was so much momentum and energy and hope for [the bill to pass] and it was just like ‘what do we do now?’ It took a while to re-center our goals,” Hernandez said. Now, according to Medina, the group plans to continue developing new campaigns and working on “building bridges of trust” between undocumented students, the administration, and the rest of the student body. “It’s one step at a time,” Medina said.